Winter Storm Warnings are posted across much of the interior Southeast and Middle Atlantic States as rain has changed over to heavy snow in Western North Carolina. The warnings have been extended into parts of Eastern Tenneessee, Northern South Carolina and northeast Georgia. Winter weather advisories are also posted for areas surrounding the warnings. 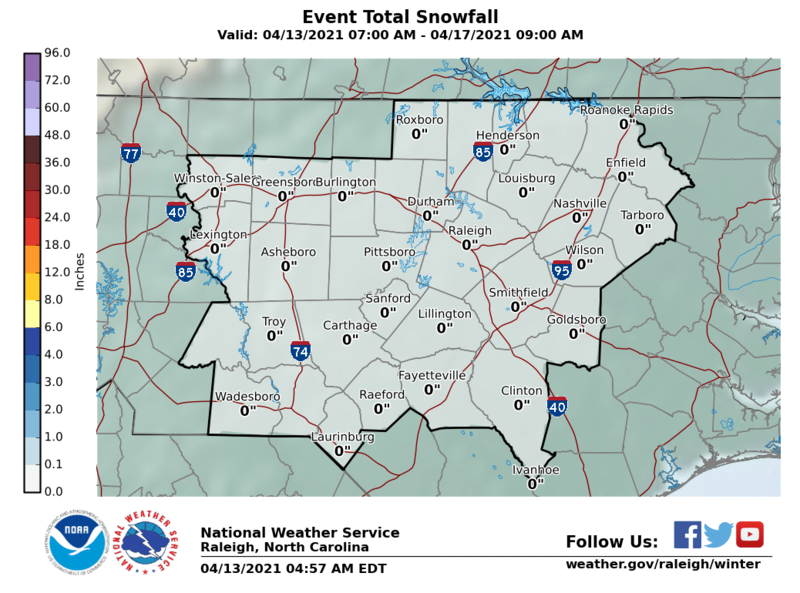 Cold air continues to wedge southward into North Georgia and this will create snowstorm conditions in the warning area. 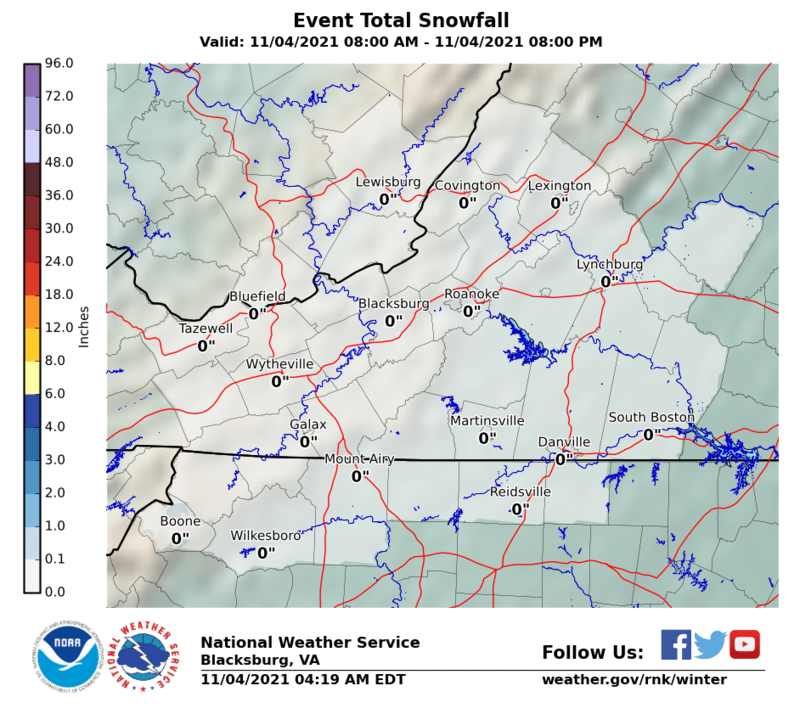 A foot or more of snow is likely in the Western Carolinas reaching into Southwest Virginia before this is all said and done Sunday evening. Icing is likely as well in areas to the east of the mountains where sleet and freezing rain will be an issue at times overnight and on Sunday. Another round of snow is possible in North Carolina on Monday as a second low develops along the coast. 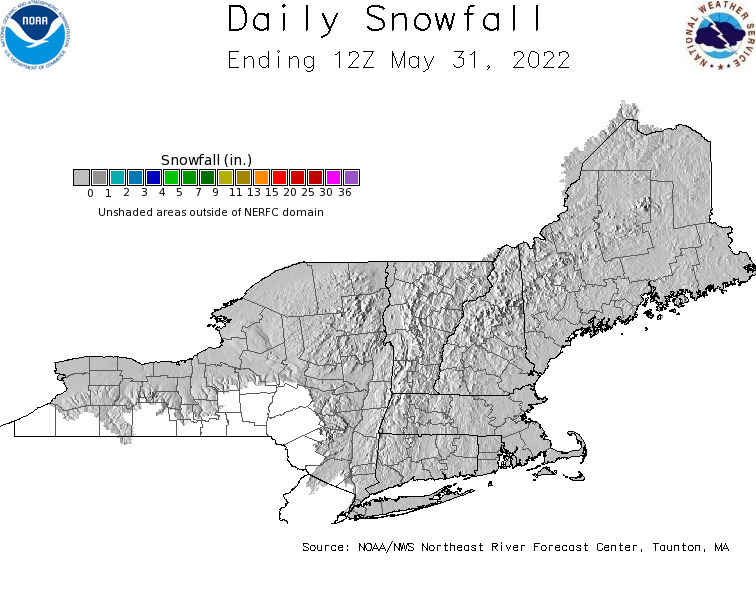 This snow will be lighter and might impact areas further east depending on how much cold air is around. This storm is headed to the east so there is no impact for areas from Maryland northeastward to Southern New England. These areas will be dry with nothing more than high clouds on Sunday. 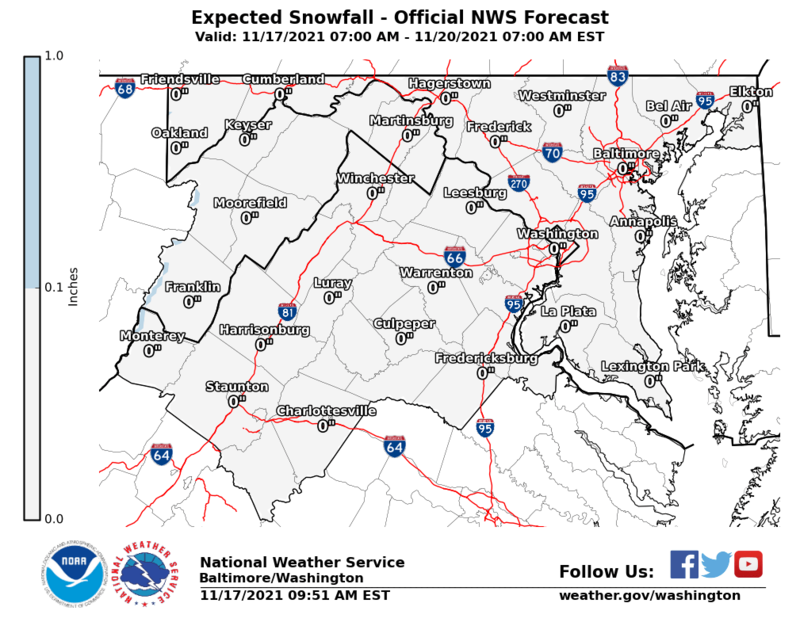 The maps below are the National Weather Service snow forecast maps which update automatically as the Weather Service updates them so refresh the page in the morning for any changes.